A standard bearer for light and fast ski mountaineering, the Dynafit TLT series has been upgraded. If you were one of the many who discovered the amazing lightness, performance and agility of the TLT 5, you will find the new Dynafit TLT6 boot to be more comfortable, warmer, and even easier to use. Don't worry, the boot retains its light weight and proven design that makes it a joy to cover long distances in walk mode interspersed with challenging ski descents. For those new to the TLT concept, prepare to save lots of transition time with the one-motion Ultra-Lock System that combines walk/ski mode changes with buckle opens/closures. New more comfortable last makes this boot an even better choice for those all day tours. Upgraded Ultra-Lock System 2.0 is articulated to reduce lateral snag and making for even faster transitions. TLT6 Custom Ready liner is warmer, more abrasion resistant and made ready to use with out-of-the-box comfort. Instep buckle is now micro-adjustable so you can get the exact fit required to avoid heel lift. New 2.0 version of the Driving Spoiler slides inside the cuff, allowing for 60° of smooth walk rotation and a stiff downhill structure. Metal spoiler insert allows for adjustment of the forward lean (15° or 18°) so you can stand in a position most natural to you. Compact and rockered Grilamid shell makes for easy walking and climbing and now has an additional felt/aluminum layer for increased insulation. Toothed buckle catches (patent pending) adjust to different leg and foot shapes with a retaining system that prevents unintentional releases. New Claw Outsoles have more traction due to a durable, sticky compound in the toe and heel areas. Quick-Step inserts are a standard feature of Dynafit boots that make for an easier step-in to tech bindings. 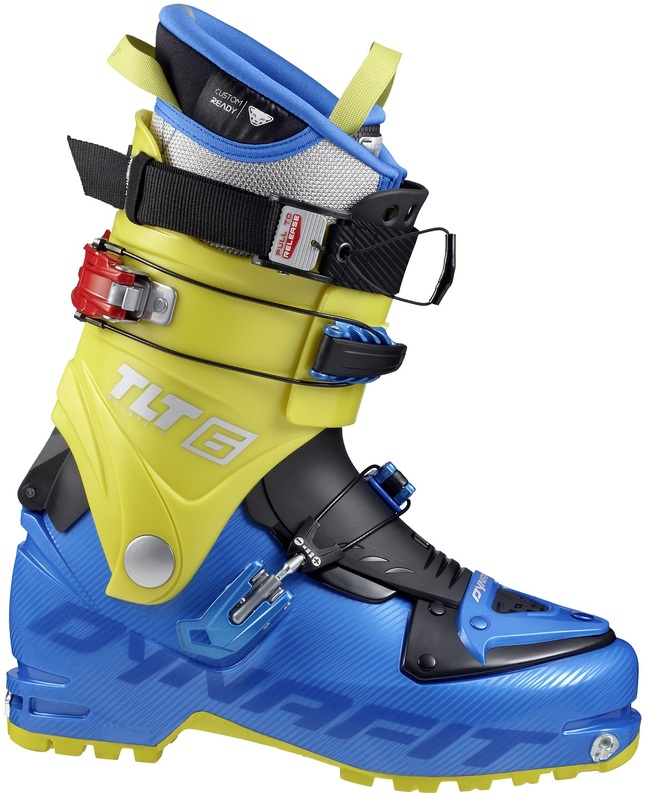 Update 2015/16: The latest iteration of the TLT6 provides eye-popping colors and a new Ultra Lock power strap that, with one pull, removes any extra space before skiing. Another quick pull releases it for uphill mode. Genius. Also the lower shell is now Pebax instead of Grilamid which adds a bit of stiffness and weight (50-100g, TBD). Sizes listed at the lower price are the green 2014/15 model. Notes Renowned TLT 5 got warmer, more comfortable, and more adjustable. Bottom Line Could be the new standard in lightweight functionality. How does the lateral stiffness of this boot compare to the TLT performance? Hi John, hard to measure exactly, but probably something like 80-90%. are these boots compatible with Fritschi Diamir Freeride Pro Binding? Hi Rick, [un]fortunately not, the toe and heel welts aren't deep enough. -is the Mountain CR more comfortable than the Performance CR? I intend to wear these for the entire day, mostly going up. -many reviews state the narrow footbed. Are the current models wider as your website suggests? -is the Performance CR which is on sale the current edition or from last year? If last year, any changes with this year? Hi Ken, the green Mountain and Performance CR have roughly the same comfort level, since they have the same shell shape and liner (only difference is in the cuff). The newer Performance CL has a thinner and lighter liner, which is more comfortable for folks with wider feet since it doesn't take up as much space. Also the shell in the newer versions (Performance CL, blue/yellow Mountain CR) has been widened a touch. Is it possible to adjust the cant on last year's TLT6? If so, how? The cover of the ankle rivet has slots that "look" like they will turn but do not. Thanks. 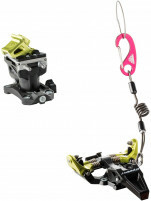 Hi Jay, unfortunately the cant is not adjustable on these. I have used these boots about 15-20 times now, always in the backcountry, on various skis (114, 81, 74 under foot) and in various conditions. Before, I have skied the TLT5 Performance for about 2 seasons. The TLT6 has couple of improvements compared to TLT5, mainly the buckles and the extra foot box width. Overall, this is a great boot but I think I am going to upgrade to the Performance version for the next season. The extra stiffness makes a difference with big skis. 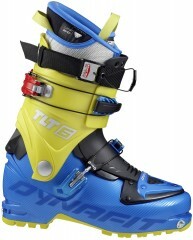 I mostly prefer to ski these with tongues in but I always walk up without them, I used to do the same with the TLT5s. I currently have a set of TLT 5 performance with a lot of mileage and looking to get something new. So does the TLT6 mountain feel as stiff as the TLT 5? What about lateral stiffness? Have you by any chance tried the TLT6 performance? What was different if so? Yes indeed I have used TLT6 Performance for long time now (the previous two seasons and will continue), see my review here. There is definitely a difference in lateral stiffness between carbon cuff of the Performance version vs the Mountain. The weight difference is very negligible but the Perfomance skis better for me for sure, especially when using a bigger/wider backcountry ski. My recommendation is that if someone skis only narrower skis (less than 85mm) or quite conservatively/slow then the Mountain will do, otherwise, paying extra will be worthwhile. As for durability, so far I have yet to have any problem. One thing I dislike about the TLT5 is that the powerstrap easily rides up and OFF of the liner, and onto one's shin. This is because the powerstrap is placed to high, or the front of the boot too low, or both, depending on your viewpoint. I've not seen this pointed out in reviews anywhere and am rather annoyed none of the "experts" have pointed out this design flaw. It's not just me -- several other folks I've talked to have had this problem too. My question is: is the TLT6 any better this way? Interesting Eric, did this happen while skiing or skinning? I drilled the power strap off my TLT5s, as did most of my ski partners. Not usually a problem while skiing, just while skinning. I'm tempted to get rid of the powerstrap too. But really, a slightly higher cuff on liner would solve the problem. The weight listed here for the TLT6 Mountain is 2450g (in a 27.5) for the pair and you have the weight of the TLT6 performance listed at 2494g (in a 27.0) for the pair. Not sure which is wrong but I would assume the performance should be lighter. Hi Brian, we haven't gotten the Mountains in stock yet so have not verified those unfortunately (look for "Specs Verified" in the Specs tab). I will point out that Dynafit decided to use the same liner in both models this season, and as it turns out, the weight difference in the TLT5's was mainly due to the liner. We expect the weight difference to be negligible on the TLT6. Dynafit is now trumpeting the Performance version as stiffer and able to drive bigger skis, versus being lighter.